The tropical storm named Erika hit the Commonwealth of Dominica on August 27. Over dozens of losses and the ongoing catastrophe, Japan decided to support the country. In development communities, it is often said, ‘we don’t know what Japan does’. People in the world think Japan is invisible. The great earthquake hit the Nepali capital Katmandu at 11:56, April 25 in local time. 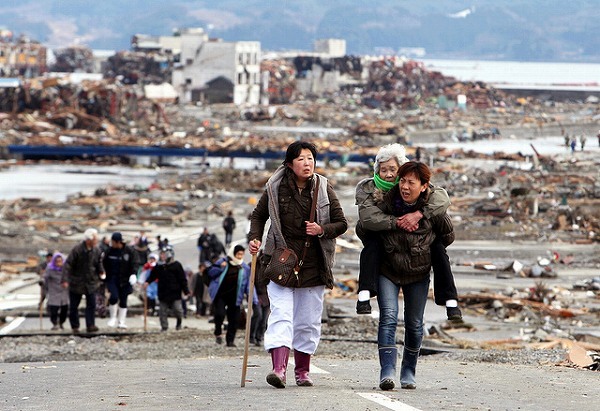 Within only half day, Japanese organisations have already started emergency assistance. An innovative collaboration sends out a strong message into the world, “Growth is dead, long live growth: The quality of economic growth and why it matters”. The World Bank made a commitment to support the continuation of its Social Safety Net (SSN) program in Djibouti. The lecture of Finn Tarp on Aid, Growth and Poverty in the Changing Global Market is now available. An unforgettable day started as quietly as usual. It was the beginning of the longest day in my life. Quality of Growth for What? For Whom? What do we mean by quality of growth? How do we measure it? How do policy makers operationalise it? The development community loves jargon. The buzzword of this year must be ‘resilience’. Defining resilience as capability to recover, the reaction of Tokyo people over Typhoon is an interesting case. SDGs: Will they make a difference? Is Kakamega the Poorest County in Kenya? Let's connect on any of these social networks. Waiting on a Transformation: When will ICT Make Good on its Governance Potential?